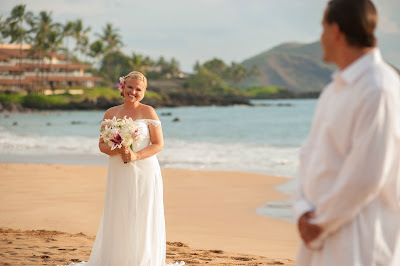 Michelle and Ed chose Makena Cove (Secret Cove) for their Maui Wedding Ceremony. While no longer secret, Makena Cove is extraordinarily beautiful, the quintessential Maui beach with lush vegetation, palm trees and lava rock outcroppings and cliffs. With its westerly facing shoreline and the island of Kahoolawe across the channel, this location is the perfect spot to enjoy one of Maui's legendary sunsets. 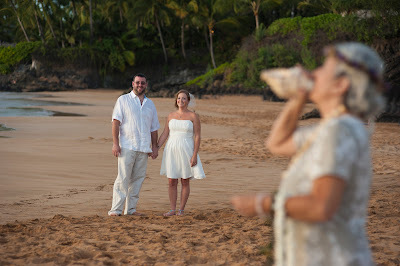 Marry Me Maui can book your wedding ceremony on Makena Cove however we do have some precautionary tales for our wedding couples that we like to share. First off, the beach is very small, we like to say it's cozy but this is not an ideal spot for large groups. While there are no official limits on how many people we can bring down to the Cove, we try to keep it at 5 and under. This beach is also subject to surges and high tides and may disappear without warning. Parking is also very limited here so no matter how many people you bring, car pooling is a must. 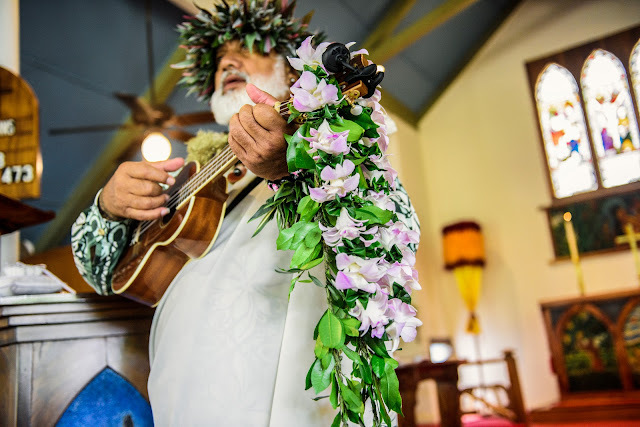 While we may have to share the beach with other wedding couples, fishermen and beach goers, we are all very respectful of each other, take turns and respect each person's right to enjoy this magnificent natural resource. During the winter months it is not unusual to see the Humpback Whales breaching off shore and spotting the green sea turtle is possible any time of year. 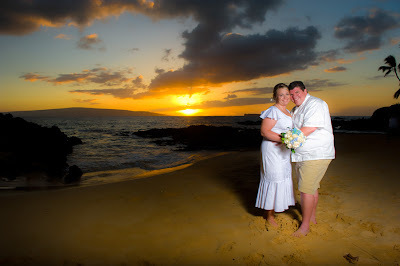 So our recommendation is if you want a Maui wedding on Makena Cove, keep the entourage down to a handful of people, be aware of the parking situation and be able to hang loose and relax if we have to wait a few minutes for another couple to finish up before we perform the ceremony. Makena Cove is a microcosm of Maui, with a little respect and patience, everybody can have a great time.